From Isabela to South Cotabato. 1,800 km. in 3 days overland. My family first did that in April of the year 1993, using our classic 1973 Jeep Wagoneer, an American SUV. For me, that was my most epic road trip ever. We passed by beautiful seaside scenery, marvelous forests, mountain ranges, countless rivers, and varied road types. Because of that, I was able to see the beauty of the whole Philippines. My father was our only driver (as I am still 9 years old during that time). You may say that my father was really the hero of that trip. Can you imagine a father taking his whole family to a road trip across the entire Philippines with no reliever driver? Yes, my father indeed is the hero. But as what the saying goes, “behind the success of a great man is a great woman”. My mom did a wonderful job during that trip. Preparing our “baon” (food), making sure our bags are packed, and as usual, packed the bag of my dad. She woke up early in the morning to make sure our breakfast was prepared. She also massaged my dad every night as he is tired of driving for long hours. She even bought each of us face towels, and wet it so to protect us from the dust on the road. And every night, during our stopovers to different lodges and SDA mission guesthouses, she always made sure that we have family worships. She also cooked food for us. Not only that, even washed our clothes. 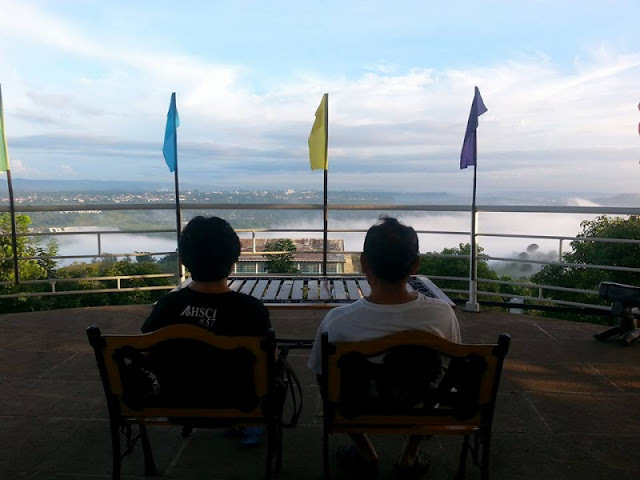 The presence of my mom made our travel more convenient, meaningful, and happy. I am so blessed to have a mom like her. She is always there in our family travels, full support for our needs. In all our family vacation, she is always there. Even though sometimes her schedule is busy, she always finds time for travel and family vacations. She has traveled extensively all throughout the Philippines and in some other countries as well. She has been to Singapore, Malaysia, Thailand, Hong Kong, Indonesia, Cambodia, South Korea, and China. And just like my dad, she always supports the idea of travel. She always supports the idea of having a regular family vacation. And she is always there, agreeing and joining us in our trips, vacations, outings. I really thank God for giving us a mom like her. This is an entry to Pinoy Travel Bloggers’ Blog Carnival themed "Traveling With Your Mom: A Mother's Day Special". Alvin Sabay of The World Behind My Wall hosts May 2012 Pinoy Travel Bloggers’ Blog Carnival. Sa wakas nakasali din do! Nice one! 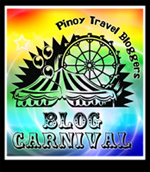 My first PTB Blog Carnival entry. Nice one Pare... She's one virtuous woman! so nice! I wish someday I could bring my own family on a road travel too. Thank you Chersyl. You can do it too.
" The next step for continuing to move forward is passing the - Paycheck Fairness Act - I recently trapped with Lilly to talk about what she's been doing since that eventful winter day in Washington, D payday loans after boiling some noodles, drain them well and hang it well to the pot.